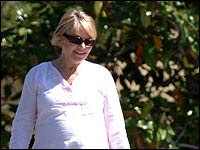 Just read in the paper today Bridget Jones Author Helen Fielding had her second baby at 48! Some hope for us would be older mums, don't you think? Surprise Motherhood is aimed directly at that gap, telling the stories of Ophelia and other women who have faced unplanned pregnancy as an adult, professional women.